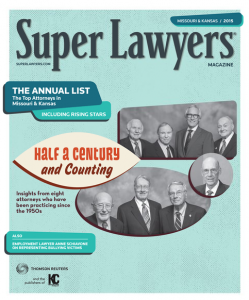 For the second year, M. Blake Heath has been recognized as a Rising Star in Kansas & Missouri by Super Lawyers. The distinction is only bestowed upon 2.5 % of attorneys, and all candidates are vetted by Super Lawyers. Blake Heath has been recognized for his work on complex personal injury litigation and insurance coverage disputes.